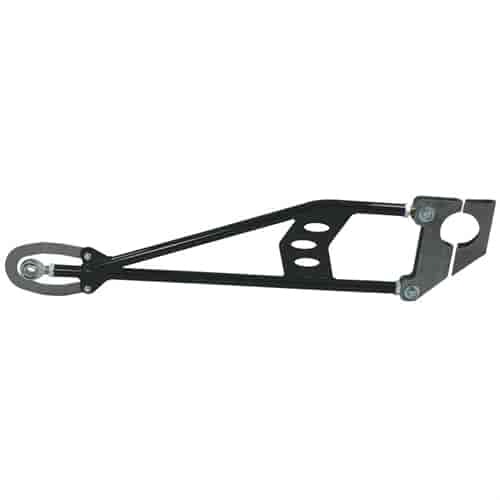 Provides solid connection between rear axle housing and chassis, preventing rear suspension damage from wheel hop. Black powder coat finish *NOTE: Competition Engineering's Ladder Bars are legal for all sanctioning bodies and include the mandatory front rod end safety brace at no additional charge. Additional gusseting material is also included in the kit to allow the rear brackets to be boxed for added strength. Competition Engineering's Competition Ladder Bars act as a solid connection between the rear axle and the chassis, taking all of your engine's power to the track, and allowing you to launch and hook up straight. The results of years of research and development, Competition Engineering's ladder bars are legal for all sanctioning bodies. 2006 - Competition Engineering Ladder Bar/Link Kits is rated 5.0 out of 5 by 1.